Increase your efficiency right from the start with our machine framing solutions by 80/20. By designing with the 80/20 T-slotted aluminum construction system, you can create machine frames with your processes and people in mind. By offering everything from casters and floor mounts to color-coded accessories and custom machined mounting plates, our complete line of products can help you save both money and time. No longer are you confined to pre-fabricated framing solutions. 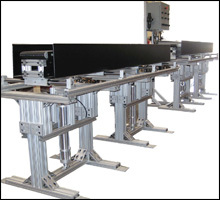 Meet all of your frame requirements with standard or custom machined 80/20 products to mount tools, computer monitors, bar code readers, product bins and paper holders anywhere along the T-slot. 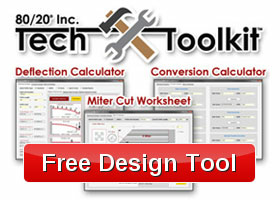 Let us visit your facility, show you how others have customized machine frames with 80/20, and help you design your own solution from 80/20’s one-stop shop. Big or small, standard or non-standard machines, we have the profiles, accessories, and custom machining capabilities to meet and exceed your framing needs. With the wide range of T-slotted solutions you’re sure to create a one-of-a-kind frame to support your machine, fit and protect your people, and make your processes more efficient. 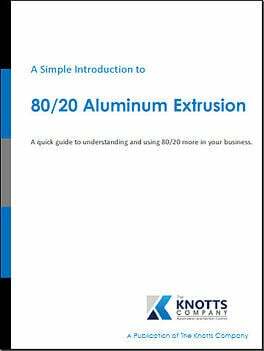 Create the perfect custom frame for your new or existing machine with 80/20 aluminum framing products. With profiles ranging from 20mm square to 3” x 6”, we can meet most size and load requirements. Plus, when the two-degree drop lock feature of our profiles is engaged, frames and fasteners become vibration proof. Add mobility with casters rated for up to 1300 pounds or immobilize equipment at a desired location with our position floor locks. 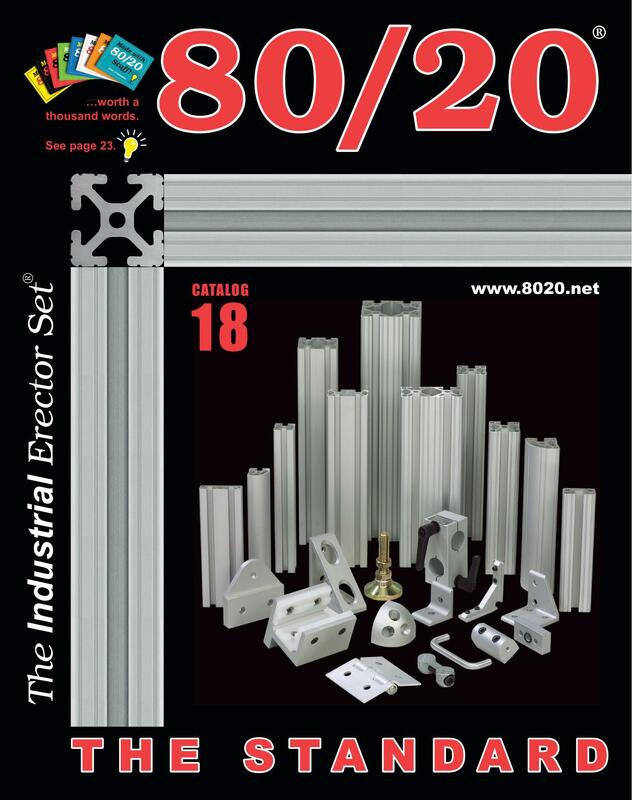 Top to bottom, 80/20 has the framing components to fit your needs. 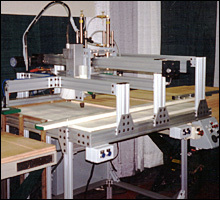 Contact us today to start designing your own machine frame solution. 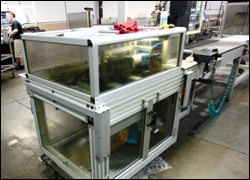 Easily and securely mount all types of machines with our framing solutions. Not only will your machine frame be sturdy, easy to clean, and attractive, but the options for mounting your machine to the frame are also endless. Let us visit your facility to discuss your needs and the various 80/20 options to create the perfect frame to fit your machine. 80/20 has the mounting solution to satisfy both functional needs and additional process improving desires. 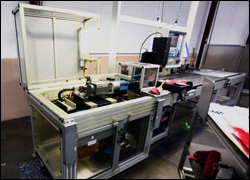 By utilizing the T-slot of the aluminum profiles, you have the capability to mount and position your machine with great precision, quickly remove it for maintenance, or add to it for additional space, guarding, or ergonomic components. Need something custom to mount your machine? With over 100 in stock profiles, 80/20 has the experience and capabilities to create, with high quality and precision, custom plates to suit your needs. 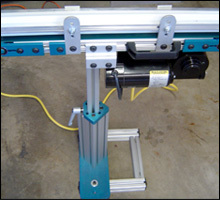 Or utilize patented linear bearings to give your machine or its accessories mobility along the T-slotted profile. Let us help find the perfect mounting solution to fit your exact machine dimensions and specifications. Ready to Make a Machine Frame?